Use ConceptDraw DIAGRAM software extended with Metro Map solution from ConceptDraw solution park to create metro maps, route maps, bus and other transport schemes, or even tube-style infographics. 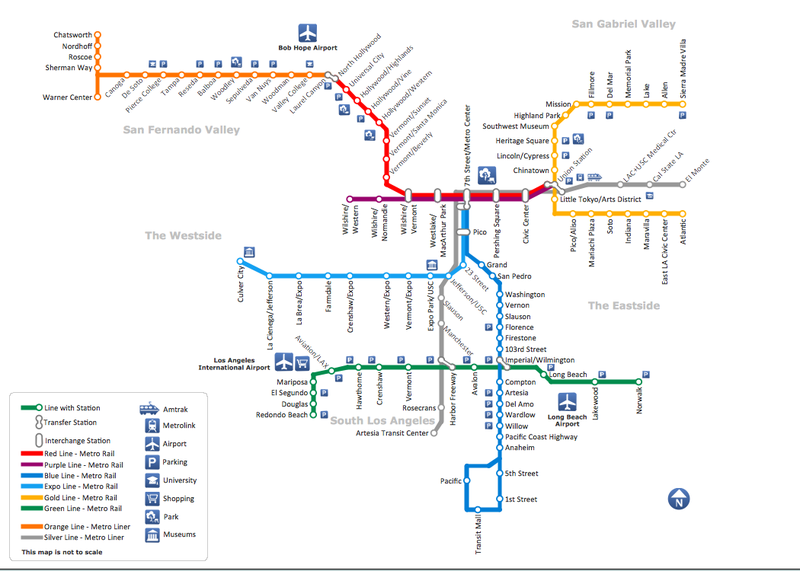 This map was created in ConceptDraw DIAGRAM using the Transport Map library from the Metro Map solution. An experienced user spent less than 3 hours creating such complex chart. All source documents are vector graphic documents. They are available for reviewing, modifying or converting to a variety of formats (PDF file, Power point Presentation, image or MS Visio) from ConceptDraw STORE, for all users who have installed Metro Map solution.